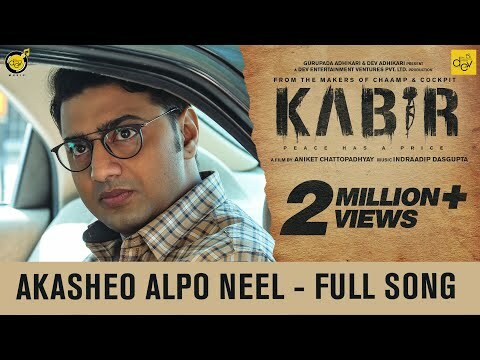 Here is the Exclusive 2nd song 'Akasheo Alpo Neel' from our upcoming film 'KABIR' sung by Arijit Singh. Film Releasing on 13th April 2018. Starring DEV & Rukmini Maitra in lead roles. Directed By: Aniket Chattopadhyay, Music By: Indraadip Das Gupta.